Established in the year 2005, we, Hi Tech Combustion, are one of the distinguished manufacturers, exporters and suppliers of Oil Fired Burners and Gas Fired Burners. In addition, we also offer to our clients superior range of Industrial Burners. These products are precisely engineered by our expert workforce and find application in Engineering, Petrochemical, Chemical, Power, Cement, Sugar, food processing, textiles, pharma, paper, printing, agriculture, hotel,shiping,ceramics,glass,wood , laminates, timber, foundries,furnaces,metal industries, forging, farrous and non farrous industries, aluminium industries, hospital,incinerators,rolling mills, Boiler and power Industries. Our product range has gained immense popularity across the globe for efficient and safety , durability, better work life, reliability and effective performance. With the assistance of our expert professionals, we are also able to provide efficient maintenance and installation services to our clients. Owing to the high-grade raw material that we use while designing and developing the range, we have set benchmarks of the quality of our products. 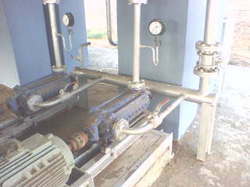 Our organization specializes in the field of industrial heating technologies. The entire range of combustion systems, burners and accessories for combustion systems is at par with the set international standards. In addition, our entire range is tested for various parameters by our expert workmanship to ensure a fault free end product. All our experts are directed towards attaining perfection in providing products and their services and thereby helping us in gaining the trust and confidence of our clients including Essar, A infrastructure Ltd., GE and OEL extrusion. Due to our excellence, we are able to deliver our range to countries like Tanzania, Kenya, middle east, africa, bangladesh,sri lanka, nepal, maldivs,singapor, thailand and Malaysia. Under the dynamic leadership of our mentor, Mr. Hitendra Chavda, we have carved a strong position worldwide. His rich knowledge base and sharp insight have helped us in creating a good reputation in the market. 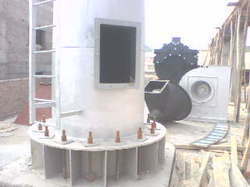 Manufacturing, Trading, Importer and Exporter of Oil Fired Burners and Gas Fired Burners. We will be an excellence driven company, tackle our employees with respect and get the best performance out of them. Our engineering staff will continuously develop our processes. We will peruse safety in all our products and deliver the most efficient and cost effective and economical thermal solution for industrial process heating. The pioneer application of clean heat with safety for the industrial process. HTC know that things work better when we work together and result from most advantageous solution to your challenging opportunities. We are one of the prominent manufacturers, exporters and suppliers of Heat Exchangers and Components for Combustion Systems. In our wide spectrum of products, we have Industrial Oil/Gas Burners, IBR Steam Boilers, Thermic Fluid Heater, Hot Air Generator, Hot water Generator and Gas-Manifold Cylinder Bank. Apart from this, we also offer to our client's Pressure Gauges, Pressure/Air Switches, Globe Valve, Safety Valve, Pressure Reducing Station, Solenoid Valve (Gas/Air/liquid) and Thermic Oil. We have designed and developed these products using high-grade raw material which is procured from reliable vendors. Available as per the requirements of our clients, our range used in several industries such as Engineering, Petrochemical, Chemical, Power, Cement, Sugar, and Boiler. We are well supported by a proficient team which holds a rich experience in the respective domain. All the team members are well-versed with every aspect related to the process of manufacturing Heat Exchangers and Components for Combustion Systems. Our judicious team is the backbone of our organization, which provides us implications in terms of increasing the sales and thereby business. The extensive and efficient maintenance and installation services provided by our workforce have helped us in attaining maximum client satisfaction all over the globe. These experts work in tandem with each other in order to ensure a smooth and uninterrupted process of production. Furthermore, we provide regular training and workshop sessions to our workforce to keep them abreast with the latest developments.